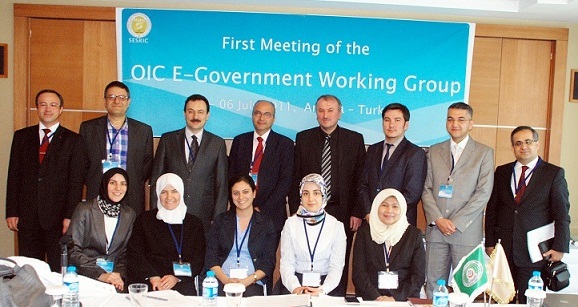 The First Meeting of the Organisation of Islamic Cooperation E-Government Working Group (OIC eGovWG) - organised by the Statistical, Economic and Social Research and Training Centre for Islamic Countries (SESRIC) - was held on 5–6 July 2011 in Ankara, Republic of Turkey. 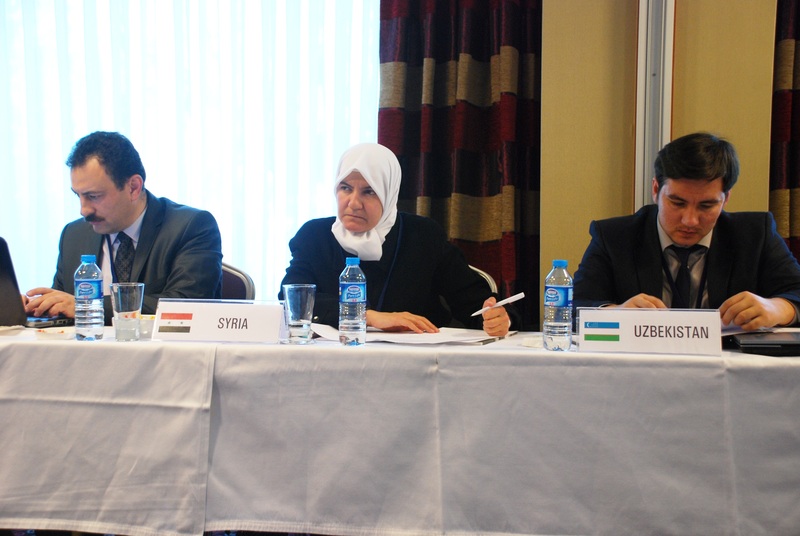 Delegates from six OIC Member Countries including Iran, Lebanon, Malaysia, Syria, Turkey and Uzbekistan and observers from academia and public sector participated in the Meeting. Eng. Hüseyin Hakan Eryetli, Director of IT and Publications Department; Mr. Atilla Karaman, Researcher; Ms. Hatice İlbay Söylemez, Researcher; Ms. Hatice Melek Ateş Taşcı, Researcher; and Mr. Abu Naser Huda, IT Expert, represented the Centre thereat. The decision for the establishment of the OIC eGovWG has been taken in the 25th Session of the Standing Committee for Economic and Commercial Cooperation of the Organisation of the Islamic Conference (COMCEC). The Resolution No. 68 adopted at the 25th Session of the COMCEC, held in Istanbul, the Republic of Turkey, from 5 to 7 November 2009 “[r] equests the SESRIC in cooperation with relevant OIC institution to establish a working group and develop a portal for knowledge and experience sharing and to conduct e- government initiatives”. 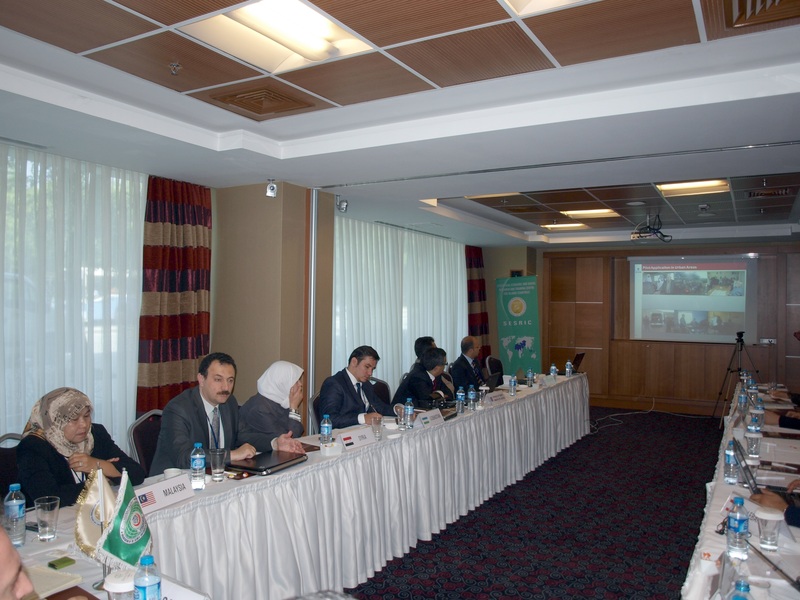 The First Meeting of the OIC eGovWG focused on main activities and roles as well as areas of cooperation and collaboration where the Working Group can act as a facilitator and catalyst for the benefit of e-government systems of the OIC Member Countries. At the opening session, Eng. Eryetli, conveyed the message of Dr. Savaş Alpay, Director General of SESRIC. In his message, Dr. Alpay stated that the OIC eGovWG was established with the purpose of focusing on four fundamental areas including priority setting, experience sharing, capacity building, and establishment of an OIC E-Government Portal. Expressing that expectations from the activities of the Working Group are parallel to the aforementioned focus areas, Dr. Alpay said that the short and long term plans and activities of the Working Group would take shape with the valuable contribution of the delegates attending the meeting. During the sessions, the participants exchanged their experiences and views to establish an action plan regarding closer cooperation and collaboration in e-government applications and services, and content and framework of the OIC E-Government Portal. On the second day of the meeting, participants paid visits to the IT Department of Turkish Ministry of Justice and TURKSAT Gölbaşı Campus.